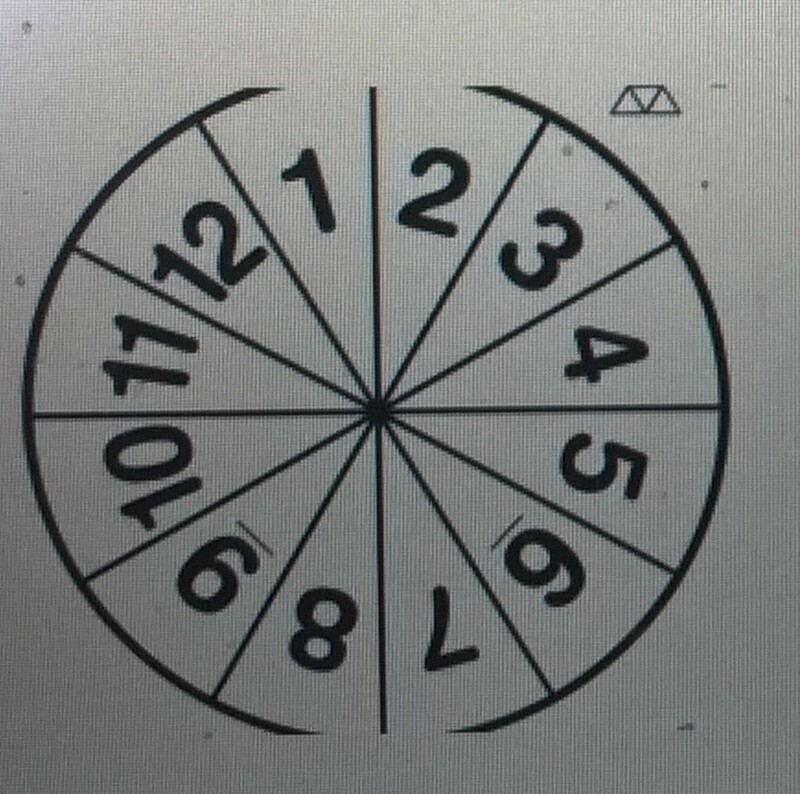 Spinning wheel numbered 1-12. A mat numbered 1-12. Or mat’s and Wheels, for more than twelve Infants. Infant one spins the number wheel and sits on that number on the Num-BAR mat. 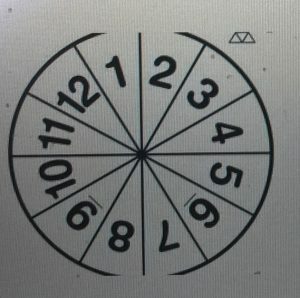 Next infant spins the number wheel and sits on that number on the Num-BAR mat, if they spin the same number as the first infant’s number he or she spins again until he or she gets a different number to sit on. Continue on with this process. Obviously the more numbers that are spun and sat on the harder it is for the infants when it is there turn, as numbers are already taken and sat on. This is where it becomes fun. Infants keep spinning the wheel until there are 12 of you infants sitting on the Num-BAR mat. Next the most well behaved infant sitting on the mat spins the number Wheel. He or she then spins a 7. If he or she wasn’t sitting on 7 he or she then goes and holds hands with 7 infant and together hand out fruit and water, milk or juice to the remaining sweethearts. Next the child that ate all their fruit and drank all their drink chooses a freind to collect all cups and remaining fruit scraps. Then story time from Staff. Please Note Num-BARS game is infant focused. Amen. If you have more than 12 Infants at your kindergarten use two mats and two number spin wheels. That covers for 24 darlings. The Mats will be made of plastic with anti sliding undercover grip, rolled out for the infants, safe for fruit and liquid spillages, hence easy to clean and to be reused.